Make prom a Victory Royale by proposing to your date with this gamer theme design! 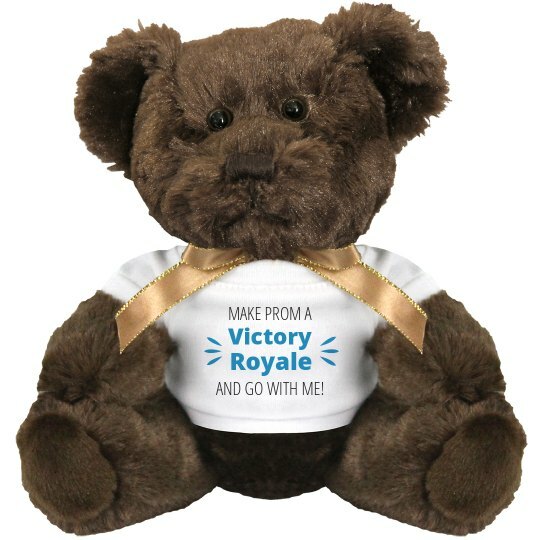 Asking a date to prom can be tricky, so show off your gaming creativity with this prom bear. It makes the perfect keepsake after the dance is done. Custom Text: Victory | Royale | MAKE PROM A | AND GO WITH ME!